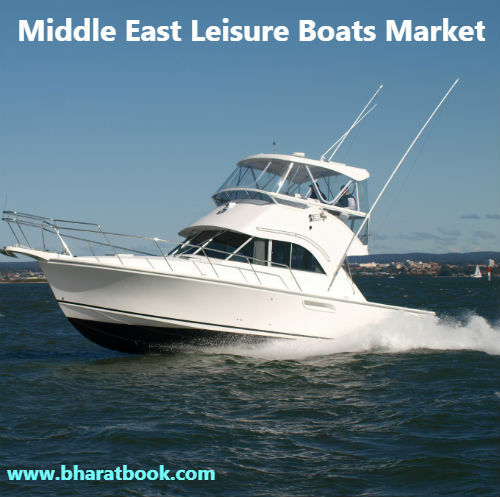 Bharat Book Bureau Provides the Trending Market Research Report on “Leisure Boats Market to 2027 - Middle East Analysis and Forecasts by Type; Application” under Consumer Goods category. The report offers a collection of superior market research, market analysis, competitive intelligence and industry reports. Middle East Leisure Boats Market is expected to grow to US$ 2,947.1 million by 2027 from US$ 1,840.0 million in 2017, growing at a CAGR of 4.9%. Middle East region comprises a significant high net-worth individual (HNI) population. A majority of this population has an affinity towards spending on travel and leisure activities. They prefer new experiences and privacy to spend some quality time. Today, people are shifting towards more personalized holiday vacations such as renting superyachts to discover the region's coastlines. Renting a crewed superyacht provides them the flexibility to personalize their travel plan and explore, thus offering liberty to make the most of every moment of their vacation. Therefore, it makes the Middle East one of the most lucrative regions for the leisure boats market. The key trend which will predominantly affect the leisure boats market in the coming year is growth in the adoption of hybrid leisure boats. With the need for a cost-effective and eco-friendly solution, hybrid leisure boats are expected to gain high adoption in the near future. The leisure boat manufacturing companies are already working on the technology and have announced to launch their product in the market soon. For instance, Volvo has announced to commercialize its hybrid marine propulsion concept in 2021. This concept will enable a boat to operate with both electric as well as diesel. The factor above is expected to have a noteworthy impact on the leisure boats market. Leisure boats market by application is segmented into sailboats, runabouts, jet boats, cabin cruisers, and watercraft. With the increase in real estate waterfront developments each year, the opportunities for the growth of leisure boats are very apparent. The sailboats can be distinguished from the other boats mechanically, as they are propelled entirely or partly by the wind. The Leisure boats market for sailboats in the Middle Eastern region is foreseen to be prominent as during the coming years the region is anticipated to be the most preferred destination for luxury travel and water sports/adventure. The overall leisure boats market size has been derived using both primary and secondary source. The research process begins with exhaustive secondary research using internal and external sources to obtain qualitative and quantitative information related to the market. Also, the primary interview was conducted with industry participants and commentators in order to validate data and analysis. The participants who typically take part in such a process include industry expert such as VPs, business development managers, market intelligence managers, and national sales managers, and external consultants such as valuation experts, research analysts, and key opinion leaders specializing in the Leisure boats industry. The leisure boats market report profiles key players such Gulf Craft Inc., Al Shaali Marine, Al Hareb Marine, Al Fajer Marine Llc, Al Seer Marine Supplies & Equipment Company L.L.C, Ribcraft Middle East, Ocean Boats, Al Suwaidi Marine, Al Marakeb Manufacturing Boats Est, and Instinct Marine, among others.